When you walk down an aisle lined with books, your guests know that they’re in for a special treat! 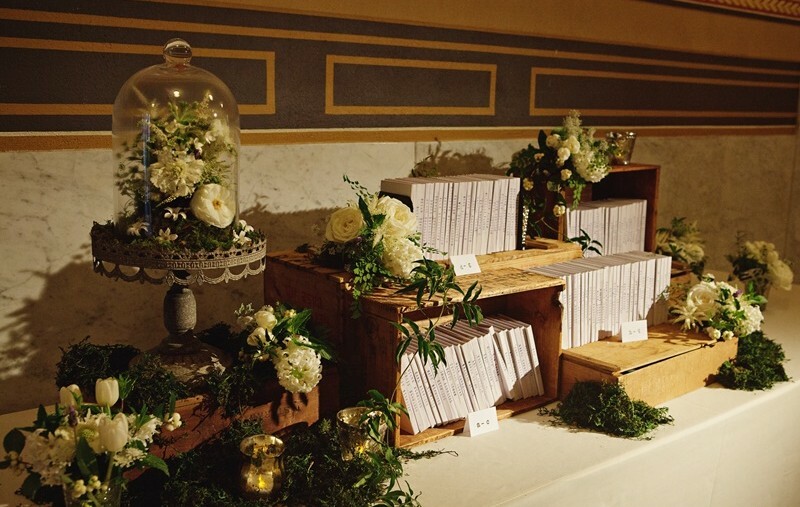 For book lovers all around, getting married in a library adds a personal touch of whimsy and romance. At The Catered Affair, we’re fortunate to see manyw eddings in the historic and stunning space of the Boston Public Library. Gaining inspiration for your wedding theme from the setting of your big day is a wonderful way to create a cohesive look, and incorporating literary trends and books into your wedding decor is a unique twist on what people are used to seeing at weddings. 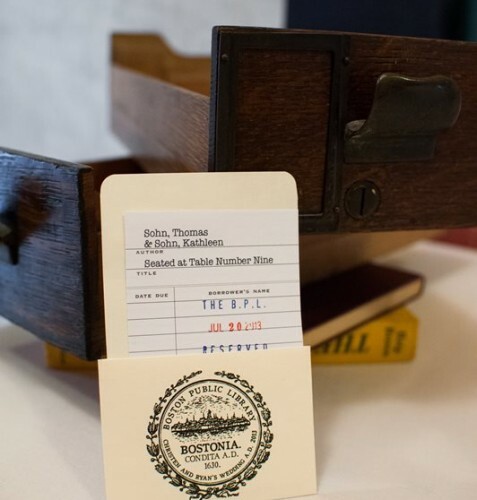 The Catered Affair at the Boston Public Library has seen our fair share of inventive ways to bring literary trends directly into your wedding day decor. For wedding planning inspiration, we’ve rounded up a few impressive ideas to help you plan your big day in the stacks! One of the first things guests do when they arrive at the reception is to pick up their placecards. Set the scene for your literary theme right away by incorporating the library into this first impression. 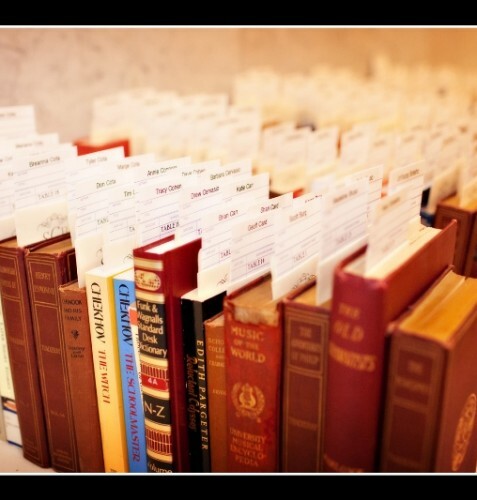 Consider using actual books as placeards or utilizing library items to hold your placecards. In one case, we’ve seen a couple utilize the old card catologues (a throwback from days before catalogues were online!) for guests to sort through. The presentation was both nostalgic and functional, and perfectly on-theme. 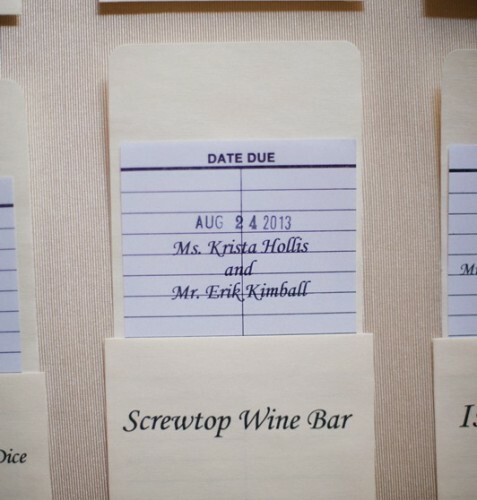 Your wedding is in the library – you might as well seat guests right in the thick of things! Planning your event in a unique space like The Boston Public Library means you can utilize what’s already in the room as decor–in this case, shelves lined with books. Shake up your event by seating guests at the tables typically used for studying in the stacks, and transform them into an elegant dining experience. Guests will feel like they are back in their college days of late night studying – but this time, it will be a fun celebration! 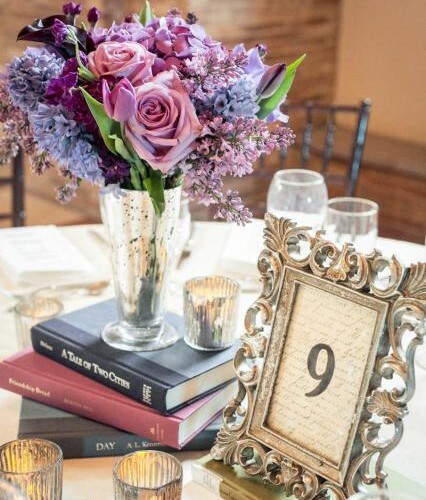 Centerpieces offer yet another opportunity for bookworms to personalize their event decor and give their guests a glimpse into their personality. 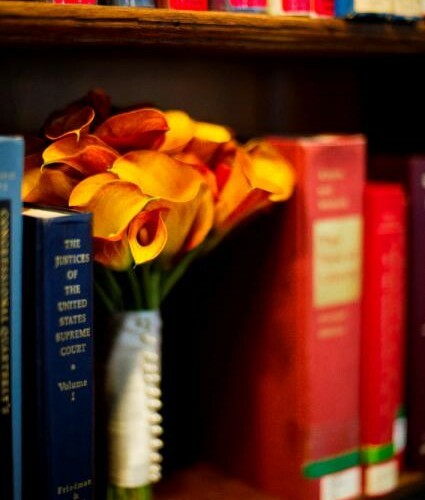 Instead of relying strictly on flowers and candles, incorporate your favorite books, or those significant to you as a couple, into your centerpieces. 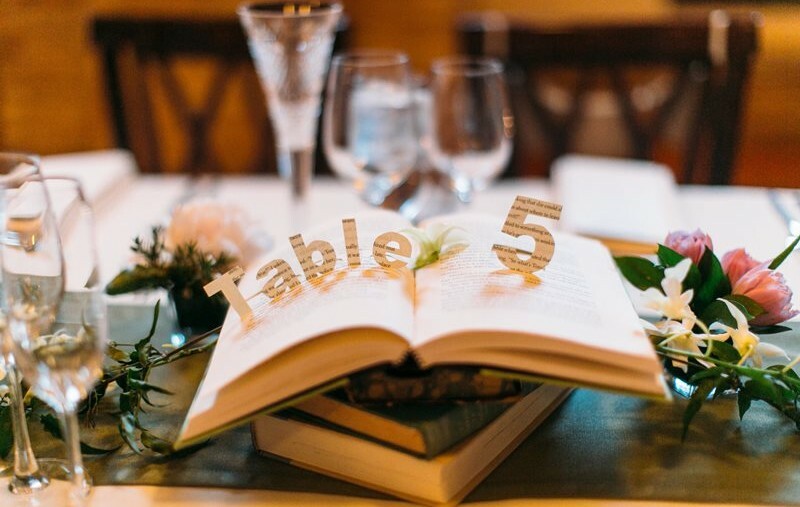 You can also name your tables after your favorite books and have that book as the table’s centerpiece, so guests can find their table and learn a tidbit about the bride and groom! You want to your guests to remember your wedding, and the best way to do that is through favors that they can take home in memory of your special day! What better memento than a bookmark to mark the literary theme of the day? Bookmarks can include your picture, wedding date, or elements of your color or theme. One unique idea we loved created bookmarks out of actual literary pages from the bride and groom’s favorite novels. You can cut out meaningful passages and create bookmarks for your guests to enjoy long after your first anniversary! 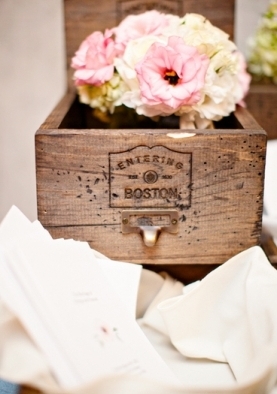 These are just a sampling of what you could do to bring literary trends into your wedding day. 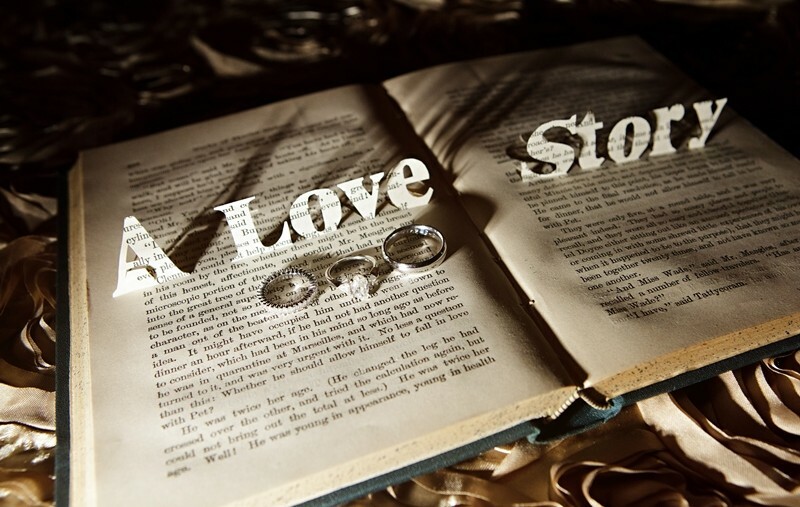 Have you incorporated literary trends into your wedding? Share them with us in the comments!